As a kid, my brother and I used to go to my grandparents’ house to celebrate Christmas with them. Blasting from my grandfather’s vintage record player cabinet were songs like Winter Wonderland and White Christmas. These Christmas carols made me wonder as a child what it would be like to have a white Christmas or to go to a winter wonderland. For many who live in temperate regions, winter could mean anything but thrilling. But for a tropical island girl like me, the idea of snow still excites me. 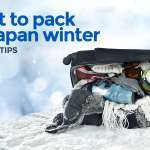 Did you know that among all the prefectures in Japan, Hokkaido has the longest winter? It can sometimes start as early as late September and end in early May. Our team has been here six times now, and we still can’t get enough. Yep, because we love the cold! Hokkaido has warm and dry summer that attracts locals from different regions of Japan. But wintertime is its strongest suit. 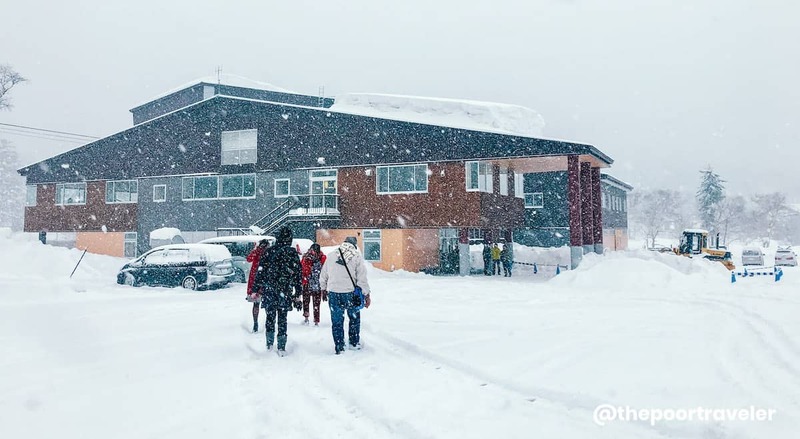 The prefecture is a go-to destination for mountain and snow activities. It is most popular for its numerous ski resorts and natural hot springs (onsen). 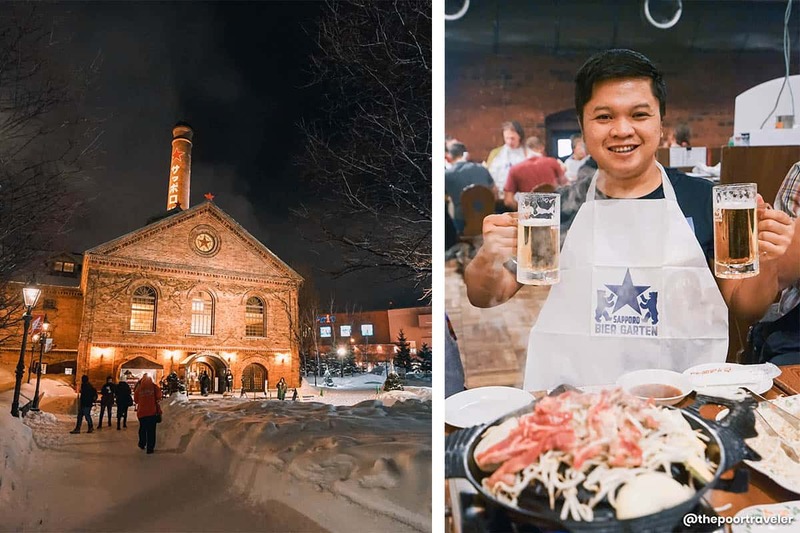 The increasing number of visitors from other Asian nations, like the Philippines, proves that Hokkaido is gradually establishing itself as a worthy tourist destination in Japan. 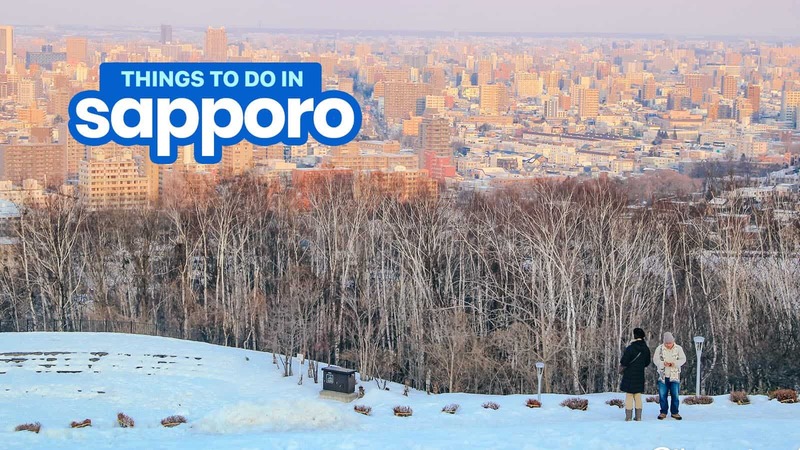 Here are some of the best things to do in Sapporo. We also added some places to visit in nearby cities, which are easily accessible from Sapporo. Sapporo is a city that is very easy to explore. But if you’re traveling with kids or seniors or you simply want to be more comfortable, a great option is joining a group tour. Most city tours cover the key attractions. You can just book, hop in, and the bus will take you straight to the attractions. No need to navigate. Klook offers a morning tour and an afternoon tour. 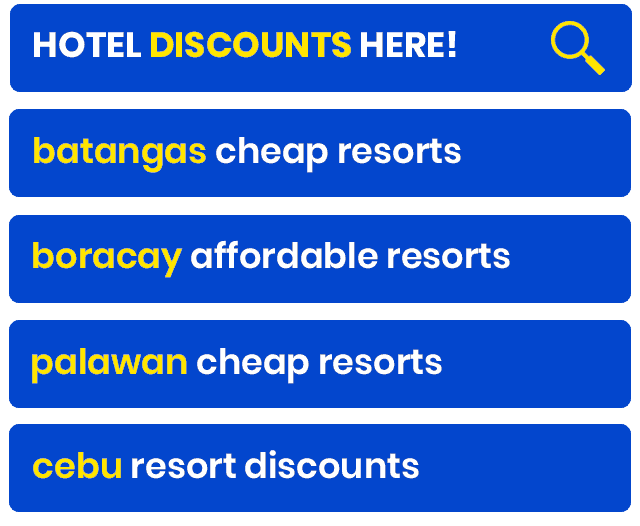 But the itinerary is different. The stops of the morning tour are not always the same as that of the afternoon tour. The itinerary also changes depending on the day and season. Make sure you check the itinerary of both tours before booking. Each booking already covers the bus fee and multilingual audio guides. Towering at almost 150 meters, the TV Tower is flocked by tourists for a 360-degree view of Sapporo City. The observation deck, perched at 90 meters from the ground, also offers a view of the Sea of Japan and Ishikari Heigen. 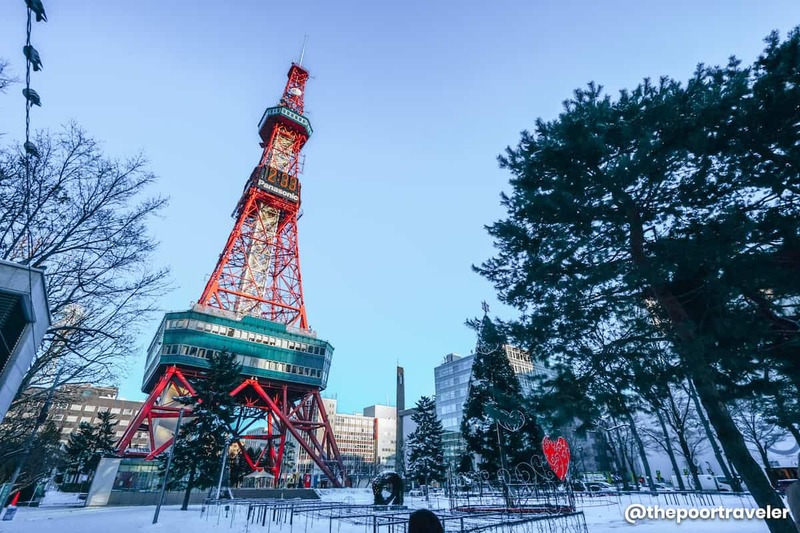 Built in 1957 and nestled at the eastern end of Odori Park, the TV Tower is an iconic landmark in Sapporo City. How to Get There: Same as Odori Park. The nearest stations are JR Sapporo Station and Odori Subway Station. From JR Sapporo Station, you will reach the park about ten minutes on foot. Odori Station is just beside the park. It is conveniently accessible as all three Sapporo subway lines stop at Odori Station. Trivia: Kita Kita film location where Lea’s Japanese boyfriend proposed to her. Built in 1987, the Sapporo Beer Museum is the only one of its kind in Japan. It aims to educate visitors on beer culture and the brewing process. As the culture dates back to Meiji Era, it has officially earned the Hokkaido Heritage designation. If you are really interested in beer and you want to thoroughly immerse (hehe), you can indulge yourself at the Beer Garden with a variety of draft beers while munching on fresh barbecued lamb known as the Genghis Khan. If you’ve worked up an appetite after a day of sightseeing, you might want to avail of their Premium À-La-Carte Buffet. Not only will you get to try the Genghis Khan, but you also get to dig into snow crabs, red king crabs, and other dishes that Hokkaido is famous for. For beer lovers, you get access to 6 types of beer too! ✅ RESERVE A TABLE HERE! Operating Hours: 11:00 AM – 8:00 PM Note: Closed on Mondays and December 31. How to Get There: The nearest station is the Higashi-kuyakusho-mae Station (subway). From the station, you can reach the Beer Garden in 15 minutes if you travel on foot. Otherwise, you may opt to ride the Loop 88 Factory Line bus which stops at Odori Station or Seibu Department Store (near Sapporo Station). The fare is ¥210. 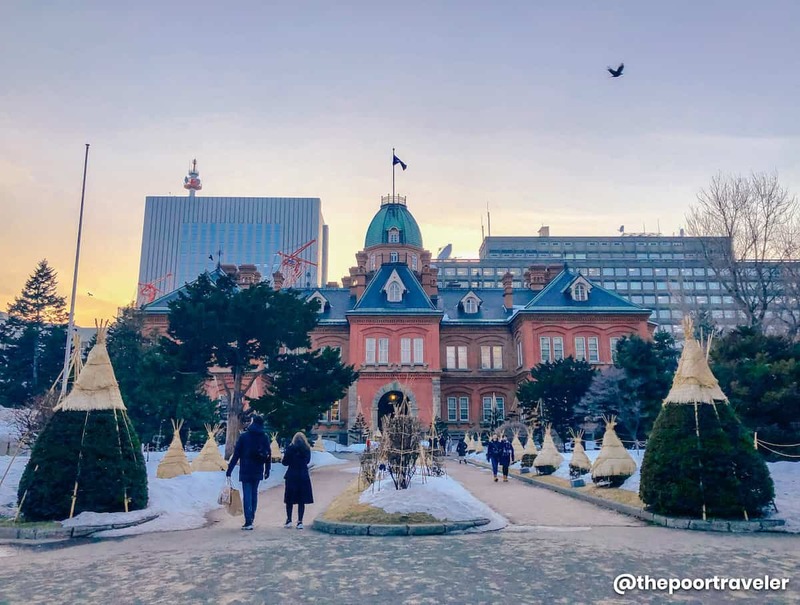 If you are not pressed for time and want to explore the city at the same time, you may also walk your way to the Beer Garden from Sapporo Station. You will arrive there in 20 minutes, depending on your pace. 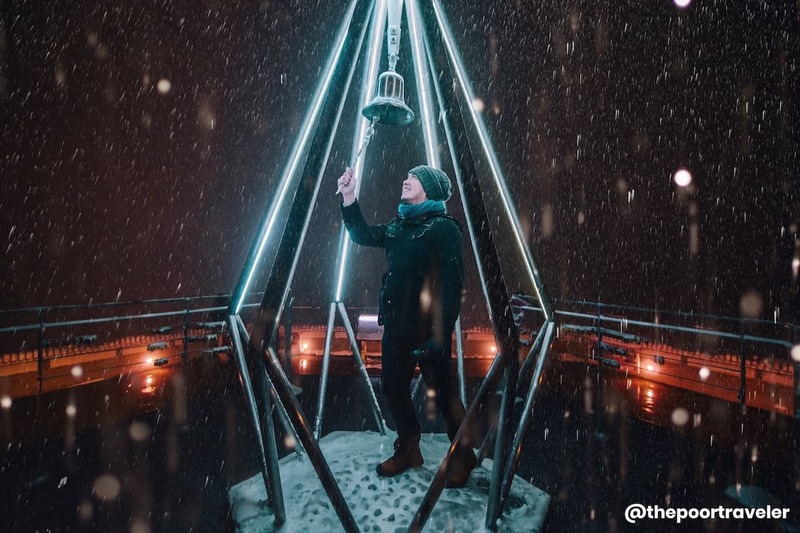 Otaru is a city located 37 kilometers from the urban center of Sapporo, but it is very accessible even if you travel on your own and pull a DIY. Otaru appears to be straight out of a steampunk anime. When I was there, I felt like I was living my Fullmetal Alchemist dreams. 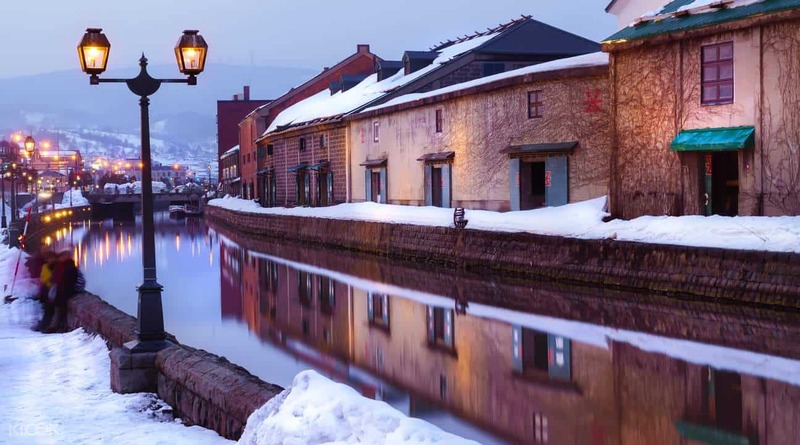 Otaru is best-known for its incredibly cinematic canal, which is lined with Western-style buildings. Because of this, one of the most popular activities here is taking a scenic boat cruise down Otaru Canal. The city is also famous for its glass craftsmanship and music box industry! If you can’t do it DIY-style, Klook offers a day tour of Otaru from Sapporo Station Bus Terminal. The tour guide speaks Japanese, but there are multilingual audio guides available for English-speakers. Nothing feels better in a cold day than a good cup of hot tea. 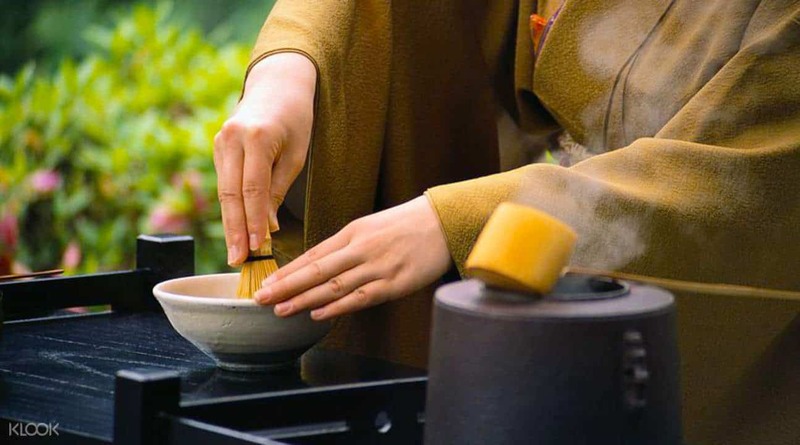 In Sapporo, you can get a better understanding of the traditional Japanese tea ceremony by experiencing it yourself. There will be an English-speaking guide who will teach you authentic Japanese ways while you’re dressed in a kimono. The session lasts 1.5 hours. Running from east to west over a kilometer and covering at least twelve blocks, Odori Park is the most well-known park in Sapporo. It serves as a median between the northern and southern portion of the city. 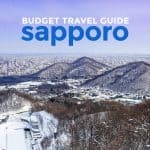 During wintertime, particularly in February, it is the site of the famous Sapporo Snow Festival. In the summer, it is carpeted with verdant trees and grass. You can also get a good view of the long stretch from the Sapporo TV Tower, located at the eastern end of the park. How to Get There: The nearest stations are JR Sapporo Station and Odori Subway Station. From JR Sapporo Station, you will reach the park about ten minutes on foot. Odori Station is just beside the park. It is conveniently accessible as all three Sapporo subway lines stop at Odori Station. Trivia: Kita Kita film location where Lea (Alessandra de Rossi) had an encounter with a little girl. The Clock Tower or Tokeidai is an iconic building located in the heart of Sapporo City. 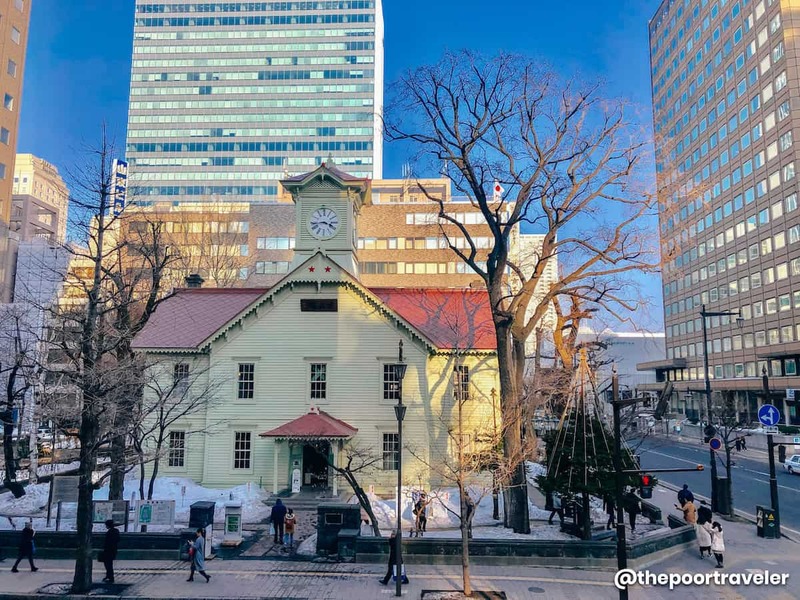 This western-style (American) wooden structure is the oldest in Sapporo, dating back to the city’s establishment in the 1870s and was originally built to be the Sapporo Agricultural College building. The clock, which still works today, came from Boston and was installed in 1881. Presently, it functions as a museum, telling the history of the structure itself and the city. How to Get There: The nearest station is the JR Sapporo Station. Walk four blocks south of the station. If you are coming from Odori Park, you just need to walk one block north of the park. Trivia: Kita Kita shooting location where Lea accompanied an old couple. 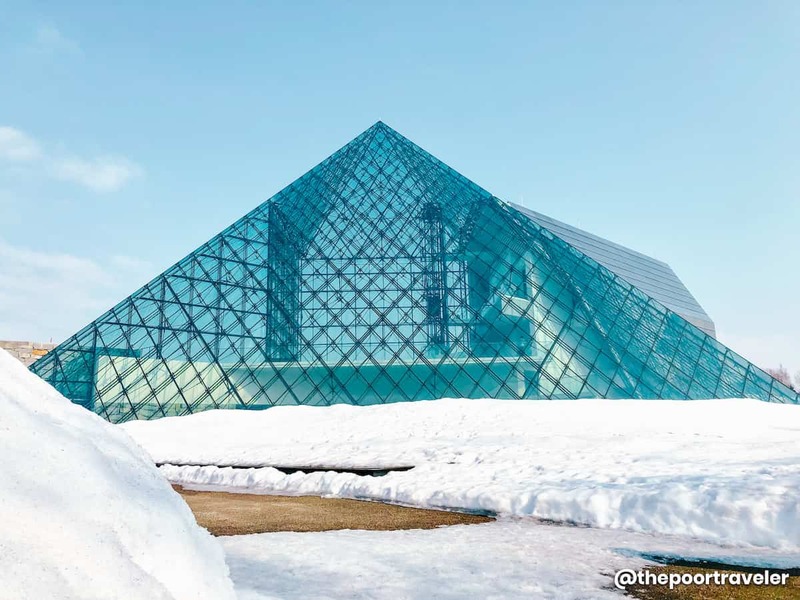 Spanning over 180 hectares in the outskirts of Sapporo and surrounded by the Moere marsh, Moerenuma Park is a vast work of art. It created a green space where nature and arts meet. Designed by the famed Japanese-American sculptor, Isamu Noguchi, it’s not surprising that it won the Good Design Award in 2002, and a lot more. The space used to be a garbage landfill until 1990. Construction was totally completed in 2005, and the whole park was officially launched to the public. The park has over a hundred playground equipment, different types of sports grounds, and thousands of cherry trees. 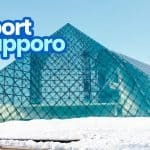 Out of the structures designed by Isamu Noguchi that the park houses, the glass pyramid, Hidamari, is the most outstanding. It is situated near the East Entrance of the park with three floors where you will find a gallery, a museum shop or souvenir shop, information center, and a restaurant. 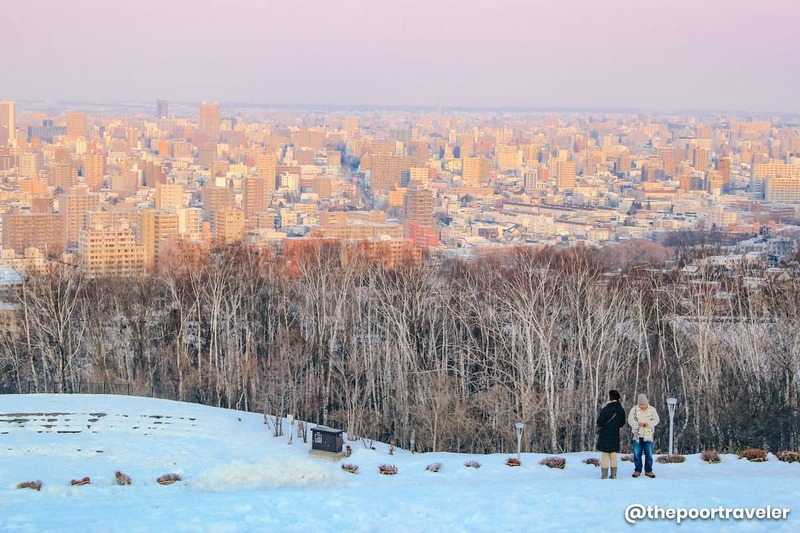 Another noticeable feature is the 62-meter high man-made hill named Mount Moere where you can get a good view of the entire park and the surrounding landscapes, even extending to the northern area of Sapporo City. Other features of the park include Play Mountain, Forest of Cherry Trees, Moere Beach, Sea Fountain, Aqua Plaza, and Music Shell. Some of these are closed in winter, but others are turned into snow activity locations. To maximize your time, you can rent a bicycle to navigate faster around the park. How to Get There: The nearest station is the Kanjodori-higashi Station (subway). From Odori Subway Station, take a Sakaemachi-bound train on the Toho Subway Line to Kanjodori-higashi Station (¥250, eight minutes). From Kanjodori-higashi Station, take the local bus 69 or 79 and alight at Moerenuma Park’s East Entrance (¥210, 25 minutes). Trivia: Kita Kita shooting location where Lea and Tonyo bonded and rode bicycles. 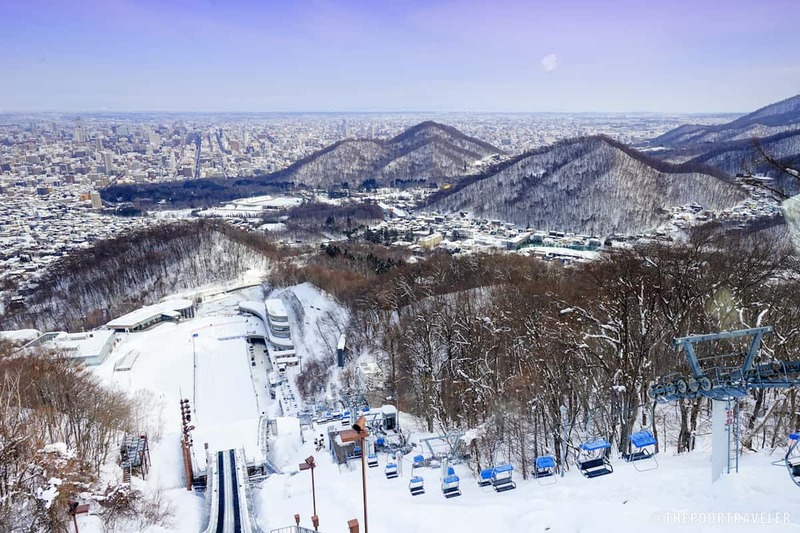 Maruyama Park encompasses a large portion of land at the foot of the Maruyama mountain in the western part of Sapporo, housing the Maruyama Baseball Stadium, Maruyama Athletics Stadium, Maruyama Kid’s Land, other sports grounds, and Hokkaido Shrine. The park is a designated natural monument. Established in 1871 and located at the northern end of the park is Hokkaido Shrine. 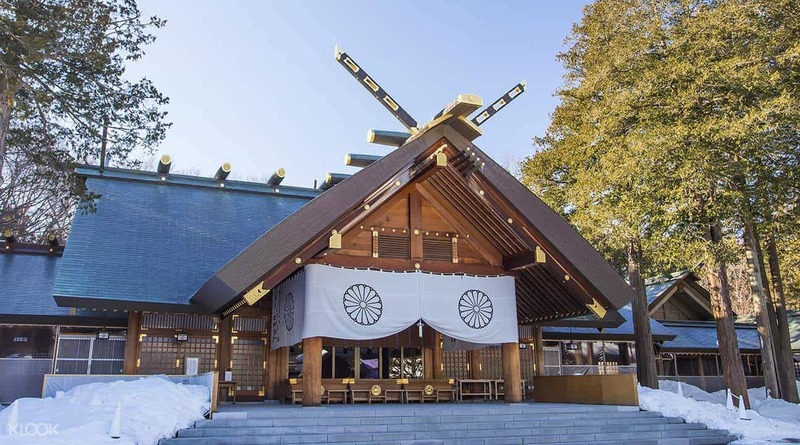 It is the most celebrated Shinto shrine of Sapporo, revering the kami of the soul of Emperor Meiji and three other Shinto deities. The Sapporo Festival which happens in June is held here annually. The shrine ground is also a venue for Hanami during the cherry blossom period. To make your visit more meaningful and interesting, stroll around in the traditional Japanese kimono. There are several kimono rentals in Sapporo like the Mituki Sakura where we rented ours. The rental shop is located on the 6F Tanukikoji-Daio, 23-1, Nishi 5, Minami 2, Chuo-ku, Sapporo. The shop starts operations daily at 10:00 AM and ends at 8:00 PM. Kimono rental rates are ¥5,400 for adult and ¥3,240 for children below 10 years old. The fee includes the kimono rent and the dressing up. Additional fee for hair and make up. Kimono must be returned within the day, latest is 8:00 PM. How to Get There: The nearest station is the Maruyama-koen Station (subway). From Odori Subway Station, take a Miyanosawa-bound train on the Tozai Subway Line to Maruyama-koen Station (¥200, five minutes). From there, you will reach the park in three minutes on foot. Trivia: Kita Kita film location where Lea ate her lunch (bento). 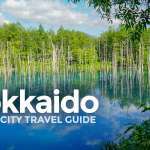 Since Hokkaido is also a mountainous region, there are many sightseeing spots that provide different awesome panoramas of the city and their surrounding areas. One of them is Mt. Moiwa. After renovations, the ropeway and the commercial complex at the summit of Mount Moiwa have relaunched in 2012. The observation deck at the summit presents the most beautiful night view of the Sapporo cityscape. The viewing spot can be reached by taking the ropeway and a mini cable car. Aside from the observation deck, there is also a restaurant where you can have dinner with your special someone or your family while being mesmerized by an ocean of city lights below. The sight is one of the New Three Major Night Views of Japan. How to Get There: Mt. Moiwa is situated southwest of Sapporo City. Go to Susukino and take the streetcar line to Ropeway Iriguchi Station (¥200, 25 minutes). From there, you can either take a five-minute walk to the ropeway’s lower station or take the free shuttle bus ride. Note: Susukino is just one station away from Odori and two from Sapporo Station. Trivia: Kita Kita film location where Lea and Tonyo rang the bell in their drunken state. Asahiyama Memorial Park was officially launched in 1970 in celebration of Sapporo’s 100th year. It underwent renovation in 2004 and was reopened to the public in 2009. 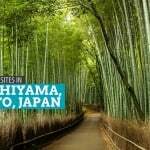 It currently enjoys its reputation as a dating destination, but it also caters to families as there are playgrounds and spaces for kids to play. 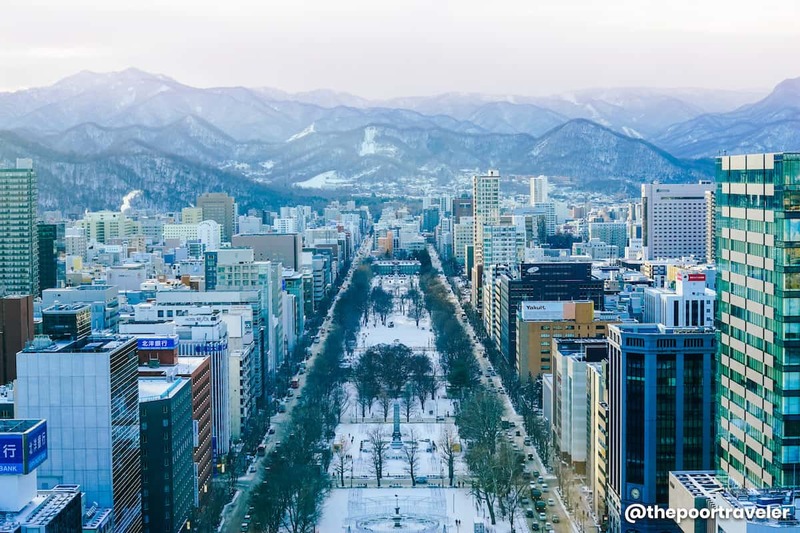 At 130 meters, the park’s highest spot showcases layers of spectacle any time of the year, starting from the vast terraced lawn and its fountain to the thick trees serving as a foreground, and finally the main attraction — Central Sapporo’s urban jungle. The peak also offers a scenic view of the Sea of Japan and Ishikari Heiya. Other features of the park include a hanging bridge, a rest house, a Chinese arbor, hiking paths, and food and drink stands. How to Get There: The nearest station is the Maruyama Koen Station (subway). From Odori Station, take a Miyanosawa-bound train on the Tozai Subway Line to Maruyama-koen Station (¥200, five minutes). From Maruyama-koen Station, take a JR Hokkaido bus (Maru 13) to Asahiyama-koen mae bus stop. Take a short walk from the bus stop to the park. Covering over 390 hectares (with almost 200 hectares open to the public), Takino Suzuran Hillside Park is another perfect destination for nature-lovers and adventure-seekers. People of all ages will find something interesting to do and see here all year round, across all seasons. It is the only government-managed park in Hokkaido. There are three entrances to the park (Masumi Guchi Entrance, Keiryu Guchi Entrance, and Takino no Mori Guchi Entrance) and two admission gates (Higashi Guchi Gate or East Gate and Chuo Guchi Gate or Central Gate). The whole park is divided into four zones — Chushin Zone, Keiryu Zone, Takino no Mori West Area Zone, and Takino no Mori East Area Zone. 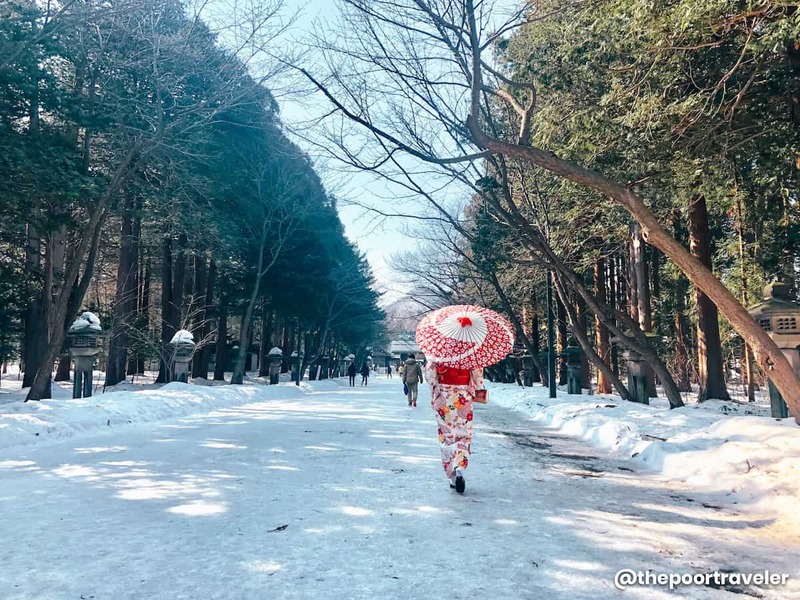 Chushin Zone is where you can find the Country Garden for the seasonal flower blooms, the Kodomo no Tani which is a large-scale playground, and Mori no Sumika which is a forest playground. Keiryu Zone includes four waterfalls, a river, and picnic grounds. Both Takino no Mori Zones allow you to do trekking and communing with nature. The most distinguished feature of the park is located within the Keiryu Zone — the Ashiribetsu Falls (Ashiribetsu-no-taki) from which the park is named after. 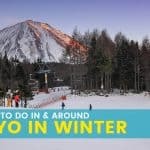 Seasonal flower blooms entice visitors, lush hiking paths attract nature-trippers, playgrounds and other fields welcome children, and snow activities make winter lively and fun with Takino Snow World! 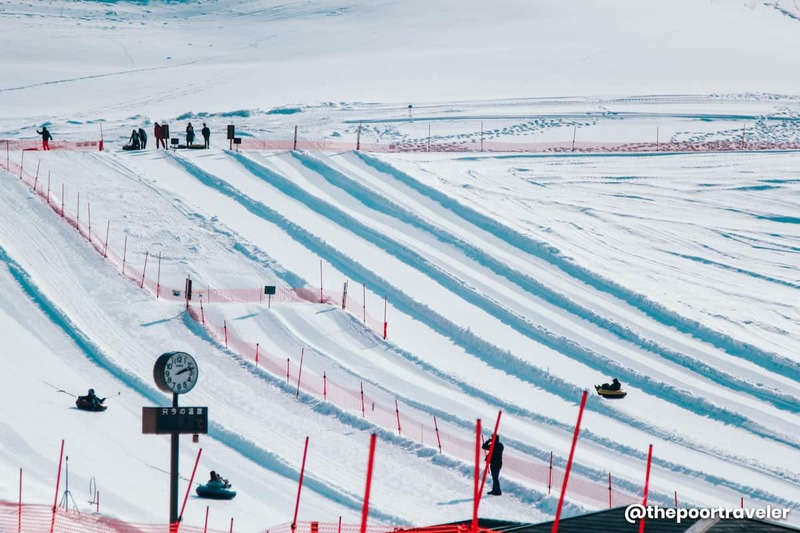 White Season activities are tube sledding, skiing, snowboarding, snowshoeing, and cross-country skiing. Admission Fee: ¥450 (adult); ¥210 (senior citizen); FREE (Below 15 y/o) Note: These rates are for Green Season. Admission is free during White Season. Operating Hours: It varies during the Green Season, but it usually opens at 9:00 AM and closes at 5:00 PM. For White Season (December 23 – March 31), it starts operations at 9:00 AM and closes at 4:00 PM. Note: The park is closed from April 1-19 and November 11 – December 22. How to Get There: The nearest station is Makomanai Subway Station. From Odori Subway Station, take a train on Nanboku Subway Line to Makomanai Station (¥290, 17 minutes). From there, ride a bus (Hokkaido Chuo Bus Takino Line, Makomanai 106) to Takino Suzuran Park. Alight at one of the three bus stops at Takino Park: Suzuran Koen Keiryu Guchi, Suzuran Koen Chuo Guchi or Suzuran Koen Higashi Guchi (¥440 for adult/¥220 for kids, 30 minutes). Of course, a visit to Japan won’t be complete without experiencing the food. For your Hokkaido gastronomic tour, here are some of Hokkaido’s signature cuisines. Beer. Need I say more? 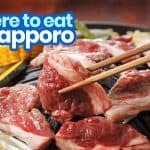 Even outside Sapporo, you can get a taste of the famous Sapporo Beer as they find their way to the bars and restaurants around the globe. Some countries even have them in supermarkets. Jingisukan (Genghis Khan). This is Hokkaido’s take on lamb barbecue. 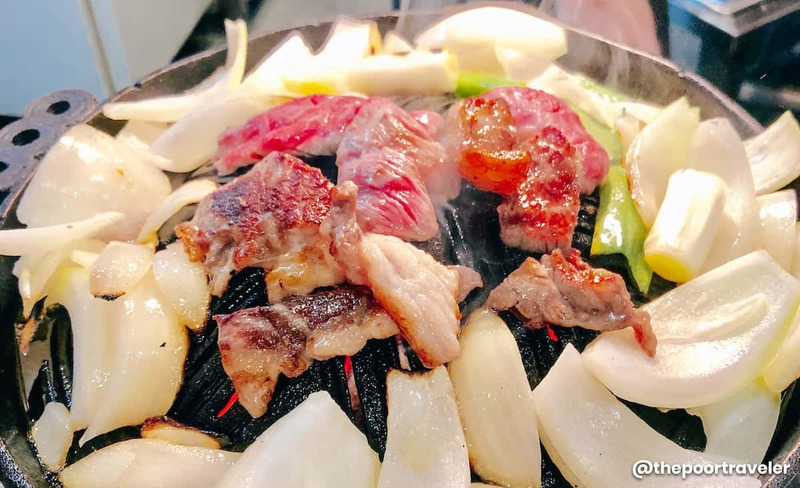 The mutton meat is normally grilled on a convex metal grill (but other grilling pans can be used also). It is typically cooked with vegetables like onion, pumpkin, etc. Locals enjoy their meal while having Sapporo Beer. We had ours at Daruma where customers patiently queue and wait for their turn. Soup Curry. This is a typical Sapporo cuisine. A lot of shops serve different variations of the soup curry. We tried the offerings at Okushiba Shoten. The bestsellers are the Tempura Curry and the Seafood Curry. The restaurant is popular for its shrimp soup, so make sure you try that with your curry. Miso Ramen. 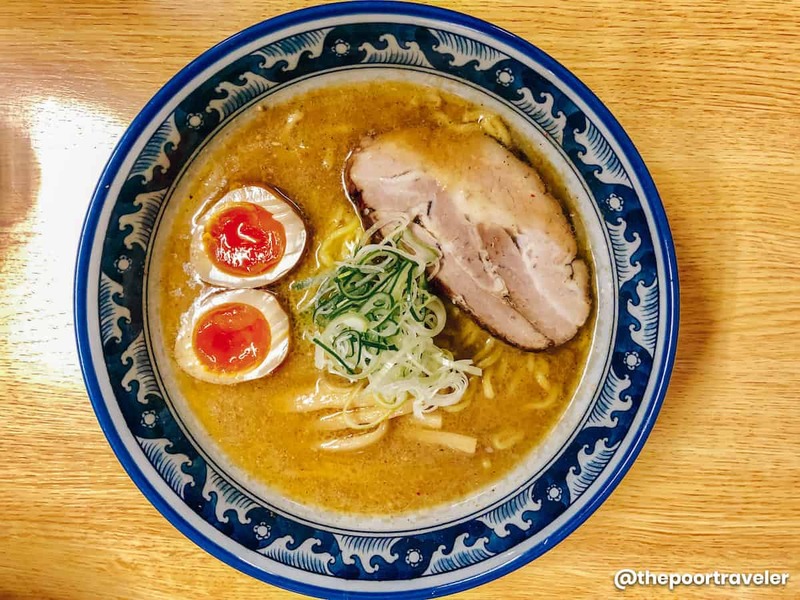 Miso-flavored ramen is Hokkaido’s contribution to Japan’s ramen culture. While in Sapporo, we got the opportunity to try one of the local-favorite ramen places — Senju. The signature miso ramen has pork, egg, bamboo shoots, spring onion, and firm noodles. You can add chili if you want a little bit of spice in your ramen. Sushi. Well, Japan is known worldwide for its sushi. The freshness of Hokkaido’s sushi ingredients is guaranteed as the prefecture is also surrounded by bodies of water, providing a wide array of seafood products and ingredients. There are numerous sushi restaurants in Hokkaido; we had our fill of sushi at Daigo, which is located just beside our hotel (Mercure Hotel Sapporo). Sweets. Hokkaido is also the leading producers of Japan’s dairy products such as milk and cream. Did you know that the well-loved Royce chocolates originated and are made in Hokkaido? Cakes, parfait and the simple soft-serve ice cream are just some of Hokkaido’s pride. When in Hokkaido, don’t hesitate to buy those “sweet” souvenirs. By the way, shime parfait (closing parfait) is becoming a trend in Sapporo nowadays, slowly replacing ramen as a way to cap off the night. Odori Park, at the heart of the city, offers a natural respite from the sprawling metropolis. It also hosts the Snow Festival in February. At the end of it stands the Sapporo Clock Tower. The most famous event in the city, the Sapporo Snow Festival is a yearly week-long event celebrated in early February. 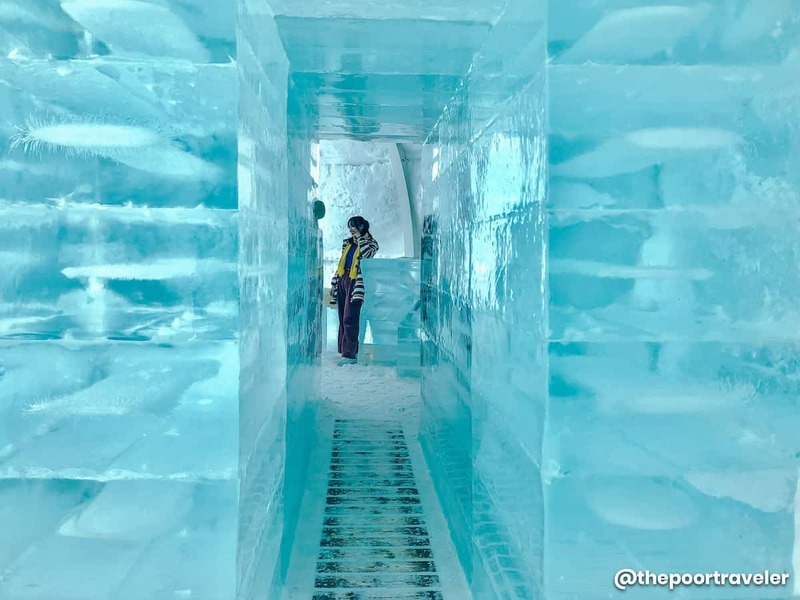 It showcases incredible, gigantic ice and snow sculptures at several viewing spots in the city. Of all these venues, Odori Park is perhaps the most visited, drawing in over 2 million tourists in 2016 alone. 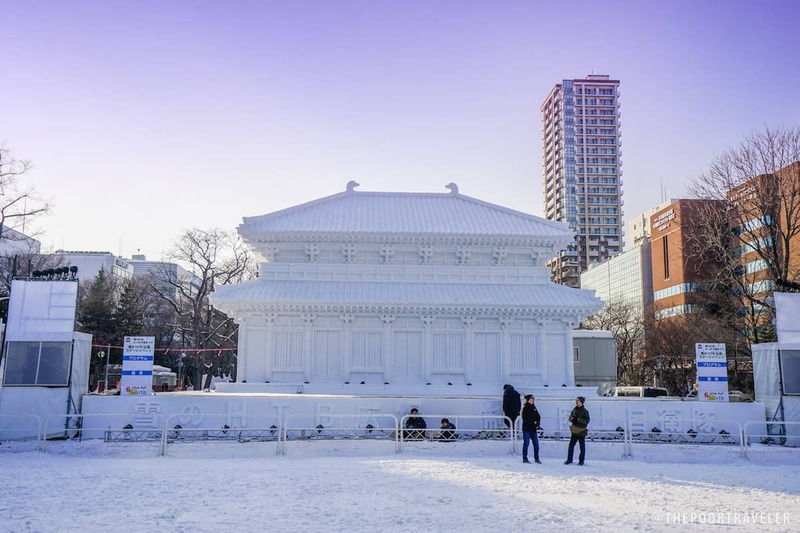 If your timing doesn’t match the Snow Festival, try visiting between mid-November and December for the Sapporo White Illumination, which is mounted in some parts of the city including Odori Park. Sapporo City center is peppered with shopping complexes and outlet stores or malls. Whether underground or above the ground, there are retail shops aplenty. 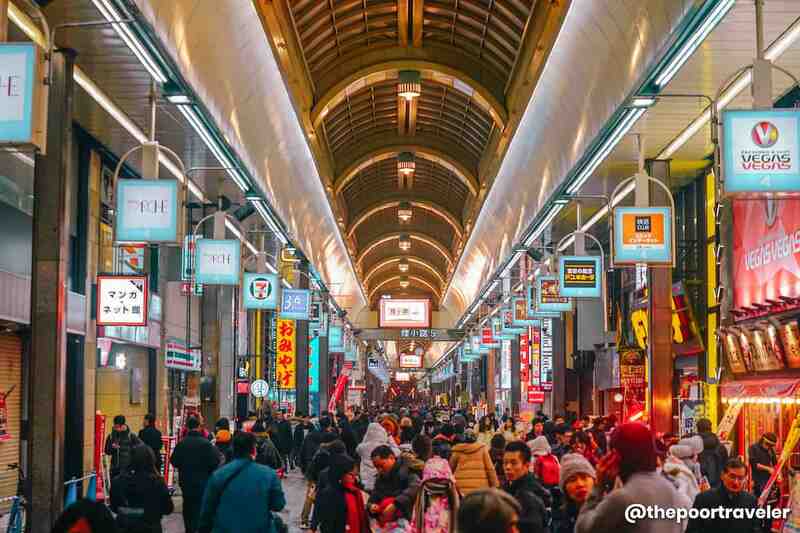 The Sapporo Factory, Tanukikoji Shopping Street, Nijo Market, and Bic Camera are some of the well-known shopping destinations in Sapporo. Mitsui Outlet Park is located in Kitahiroshima, a few minutes drive from Sapporo. This is another popular skiing destination. Aside from that, they offer several tour packages for various kinds of winter activities. 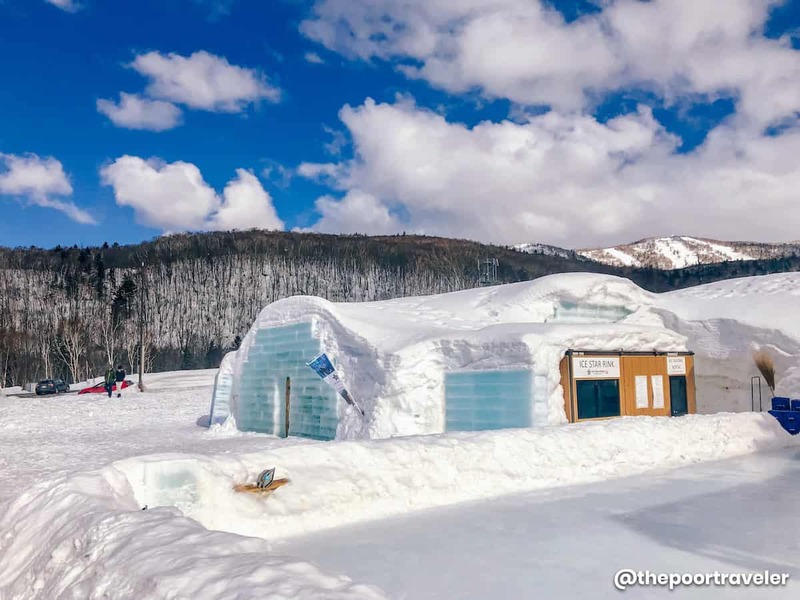 The resort also features a seasonal ice structure with an ice bar, a restaurant, and an ice skating rink. For this winter season, it began operating last December 21, 2018 and will last until March 23, 2019. Constructed in 1888, it served as the headquarter of Hokkaido government for 80 years until the new one was built. It is also referred to as the “red brick office”. It is located in between Sapporo Station and Odori Park. This was the venue of the 90-meter ski jump competition of the Winter Olympics in 1972. There’s also an observation deck that gives you a picturesque view of the cityscape. The chair lifts transport passengers to the observation deck. Roundtrip chairlift ticket: ¥500. Located about an hour away from the capital city, Jozankei is the go-to place when it comes to finding natural hot springs near Sapporo. It is also a favorite spot to view the autumn colors. 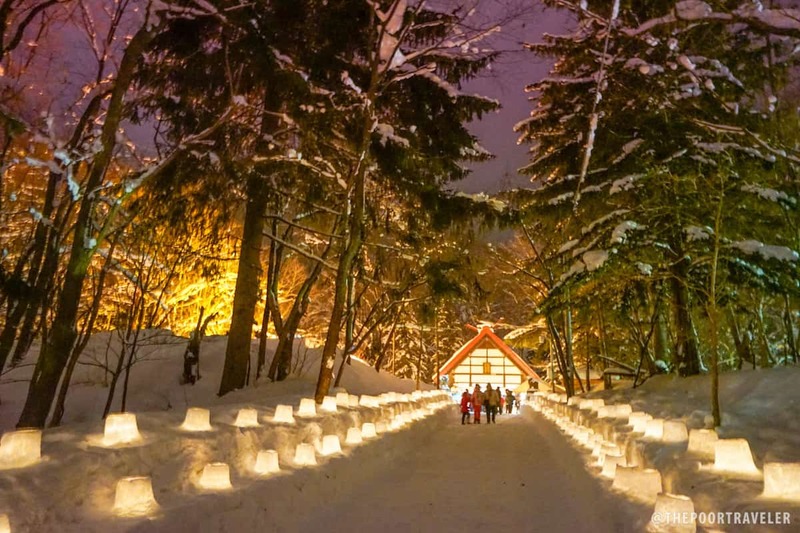 If you’re visiting in winter, check if your trip coincides with Jozankei Yukitouro, a festival where the Jozankei Shrine is surrounded by snow lanterns. It’s a really pretty and unforgettable event. Jozankei, which is an hour drive from the city center. Famous for its hot springs (onsen) and shrine. At 2,291 meters, Mount Asahi (Asahidake) is recorded as the highest mountain in Hokkaido. It belongs to the Daisetsuzan Volcanic Group of the Ishikari Mountains in Daisetsuzan National Park. It is not just an ordinary mountain but an active stratovolcano, thus the presence of onsens around the area. Asahidake is high on the list of places to see the autumn colors, which usually starts in mid-September. It is also one of the most favored sites for snowboarding and skiing during winter, which peaks in December and lasts until May. The ropeway will transport guests from the lower station at Asahidake Onsen to Sugatami Station (upper station) in 10 minutes. The cabin carrier can accommodate a maximum of 100 people. Although the upper ropeway station is perched at 1600 meters (still over 600 meters to the summit) from the foot of the mountain, it already affords visitors an unobstructed view of the mountain’s peak. Operating Hours: It varies per season, but the usual time is 9:00 AM – 4:00 PM in wintertime and 6:00 AM – 6:00 PM in summertime. How to Get There: The nearest station is Asahikawa Station. From JR Sapporo Station, you can reach Asahikawa Station directly via limited express trains (¥4,810 for a reserved seat) or with a transfer at Iwamizawa Station (¥2,490). Travel time is about an hour and 30 minutes. From Asahikawa Station, ride a bus to Asahidake Onsen bus stop (¥1,430 one way). Trivia: Also a filming location of Kita Kita. 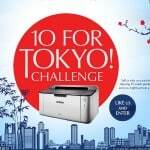 This post is made possible by Sapporo City Tourism Board. Additional words by Yoshke Dimen. Additional photos by Vins Carlos and Yoshke Dimen.